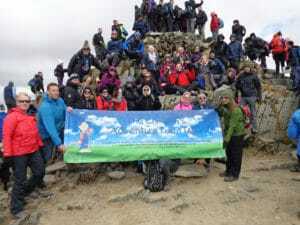 Jefferies Solicitors has raised nearly £1,000 for charity by running the Manchester Marathon and hiking up Snowdon. The charitable team at the Altrincham-based solicitors firm has run and walked 35 miles altogether for their chosen charity – The Children’s Adventure Farm Trust. Four keen runners took part in the Manchester marathon on 10 April led by director Nina Ramsden, and a 19-strong team took part in the Snowdon climb on 23 April. CAFT is Jefferies Solicitors’ chosen charity and the team has been committed to fundraising on its behalf for several years. Nina Ramsden comments: “Running and walking over 35 miles across both events was certainly challenging but it was a great opportunity to raise money for a charity that’s close to our hearts.